Owners Brian and Nicki O’Dell planted a vineyard of Pinot Noir and Cabernet Sauvignon grapes in 2007. They bottle Pinot Noir, Refosco, Syrah and Cabernet (dry reds). They also have a unique Red Chile Wine, a Port and a medium dry white table wine. In the warmer months, they offer house-made Sangria. 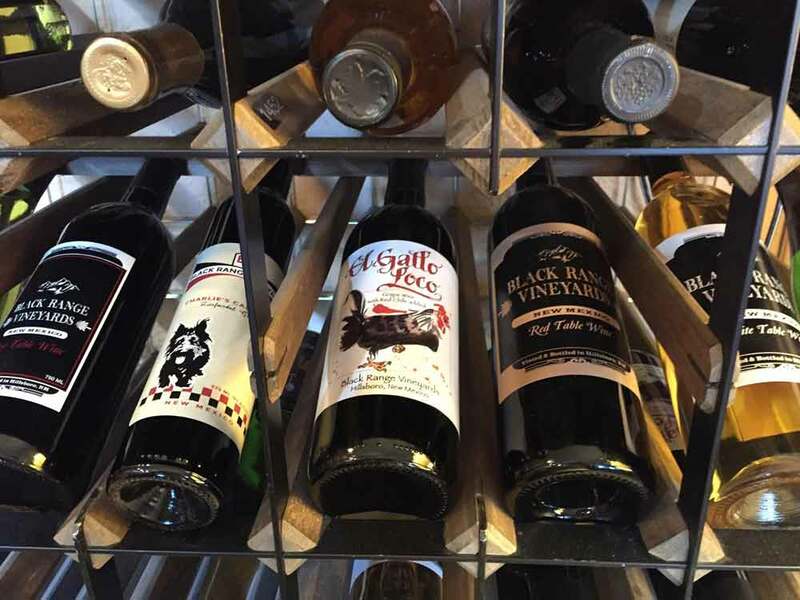 Several other New Mexico wines are available, including Chardonnay, Tempranillo, Pinot Grigio, and a couple of sweeter varieties. Two local beers are on tap, and other New Mexico brews (bottles) are available to drink at the winery or take home. Small plates are also available, varying from cheese and crackers, to tapenades, chutneys, and chocolate.